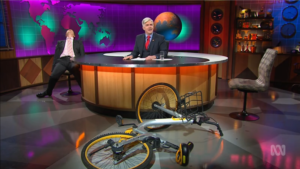 Mad as Hell – Shaun Micallef Online! 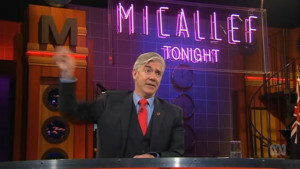 Shaun Micallef celebrates his 25th year in television with his 10th season of Mad as Hell. “It’s a bit like the frog in the saucepan of water,” says the comedian of working for the ABC. “If you turn up the heat, the frog doesn’t notice because he’s cold-blooded. 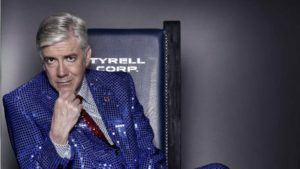 Eventually the water’s boiling and the frog’s like ‘Hey, WTAF?’ and he explodes… Actually, it’s not a very good analogy.” Shaun Micallef’s Mad as Hell, Australia’s longest-running half-hour news satire program of that name returns in 2019. According to Shaun, it will be back in July (presumably for one season only next year), just after the next federal election (and sadly not during the campaign it seems). The team celebrated 100 episodes recently, and with tonight’s season finale, it puts the total count to 102. Congrats to everyone who makes Mad As Hell the best satirical show on Australian TV, if we do say so ourselves. The cast of Mad as Hell has been pretty consistent since the show began, with only Stephen Hall’s addition in Season 3, Veronica Milsom’s departure in Season 5, and Nicholas Bell appearing for just Season 6. In Season 9, two new cast members join Shaun, Francis, Roz, Emily, Tosh and Stephen: Ming-Zhu Hii and Molly Daniels. Ming-Zhu played Dugdale’s cook, later Office Manager, in The Ex-PM and Molly has appeared in Ronny Chieng: International Student and is the daughter of Shaun’s former colleagues Wayne Hope and Robyn Butler! We’d scream nepotism, but her acting is proves otherwise. We’re looking forward to see the exciting new characters. Mad as Hell is back in September! And not a moment too soon, with all of the political goings on of late. It’s back Wednesday 19th September at 8:30(ish)pm. We’re drawing towards the final 1/4 of Season 8 of Mad As Hell, with the tenth episode airing tonight, and thirteen episodes all up. But – not to despair! Shaun has confirmed that there will be another block of thirteen starting in September. So there will be Shaun on Australian TV for 65% of the year! (as a minimum requirement it should be). All those numbers got you confused? Basically, there’s lots of good television to enjoy this year. For the first time since 2015, Mad As Hell is returning at the start of the ratings year – January 31st – for its EIGHTH season! This will be the first at the new studios in Southbank, Melbourne, where the ABC has consolidated all its television and radio production in Victoria. But the whole team has moved across, so expect arguably the best satirical show on Australian TV to continue where it left off. 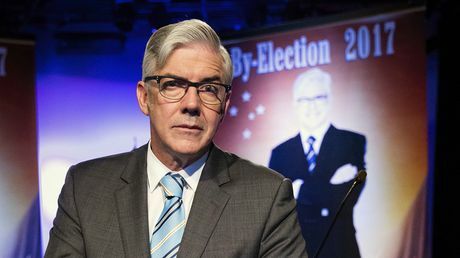 On Thursday night, we’ll be treated to a sort-of-Micallef double-header, with the finale of Series 2 of The Ex-PM on ABC at 8:30pm, where Dugdale goes head-to-head in a debate with his political rival. Following it will be a special on the ABC Ripponlea studios, which closed this year, after being home to many classic TV shows for 50+ years. The last show to be filmed there, which will feature throughout the special, was Mad As Hell. Expect to see some behind the scenes footage and an interview with Shaun. It’s a wrap for Season 7 of Mad As Hell.. but it will return! 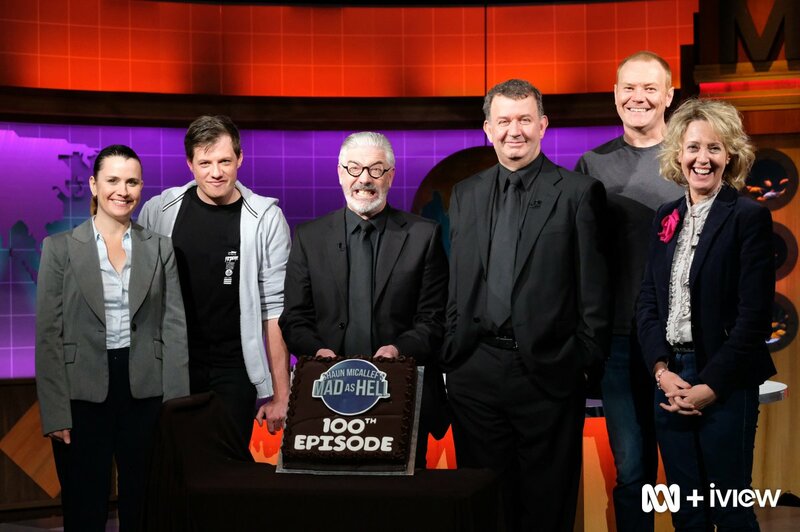 It seems like twelve weeks have flown past, but as we watch the last episode of Shaun Micallef’s Mad As Hell tonight, the cast and crew will be holding their wrap party for what has been a fantastic season, and proof that it’s needed in Australia’s TV landscape. But don’t despair… it will be back in 2018 for Season 8! Everyone I’ve spoken to the ABC can’t be more thrilled to have it back, and are excited to see it in ABC’s new Southbank studios next year. There’s a real sense of family and team about the show – the cast and crew really love working on it together, and Shaun admitted he still gets a lot of enjoyment from making it. So with a bit of luck we’ll see it in the early part of 2018. With tonight being the penultimate episode of Series 7, that means there’s only one more episode (next week) of Mad As Hell for this year! 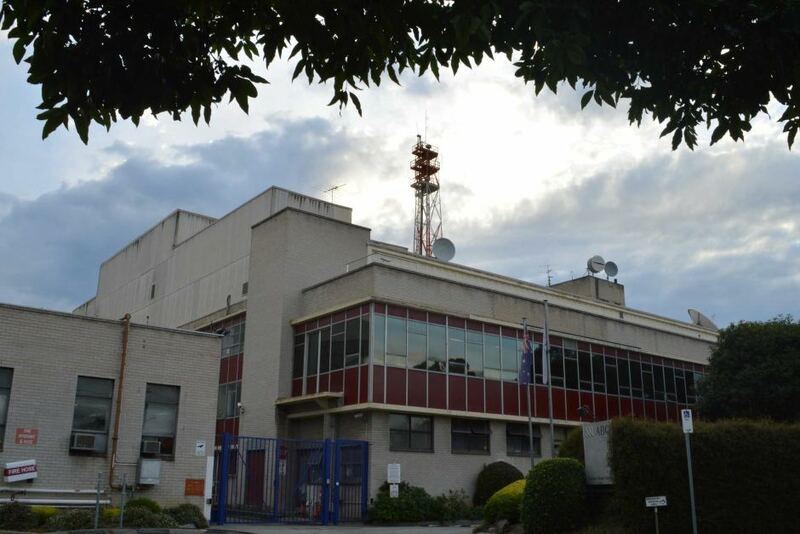 Coincidentally, by all accounts, next week’s taping of Mad As Hell will be the last thing to be recorded at the ABC Elsternwick studios, which have been the ABC’s main television facilities in Melbourne since 1956. 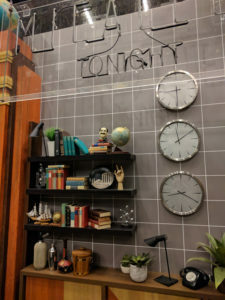 The studios have been the home of Countdown, The Big Gig, The Late Show, Recovery, countless others, and of course – The Micallef P(r)ogram(me), Newstopia and Shaun Micallef’s Mad As Hell. Next year, the show will tape in new studios at the ABC Southbank site in Melbourne, where all ABC operations in Victoria have been consolidated. The move was anticipated earlier in the year, but the new studios have not been ready. Speaking to some of the cast and crew, there is a feeling of melancholy over leaving the studios in Gordon Street, with the history (along with asbestos) being ingrained in the walls, and many people of the people still there having had worked in the building for over 30 years. Even for the Mad As Hell team, it’s been six years alone. It’s a fitting thing that Shaun and his team, who currently carry the satirical torch for the ABC, should give it the final on-air send off. You can read more about the studios in this news article. Mad as Hell returns to face a world that’s madder and badder than ever before; a world poised on the brink of a nuclear winter; where Europe is falling apart; where a President and a Supreme Leader are largely interchangeable, a Liberal Treasurer can deliver a Labor budget as if its normal and our raw sewage is spied on by the government for metadata; a world where we’re all running out of power, housing, money, time, climate, journalism, non-renewables, patience – and nothing makes sense anymore. 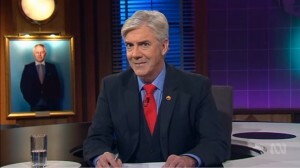 Nothing that is, except Shaun Micallef’s weekly expert analysis of the Kafka-esque nightmare that our world has become. Fewer ads than The Project; earlier than Heads Up with Chris Kenny; and a good twenty three and half hours shorter than the former ABC News 24, Mad as Hell returns on Wednesday June 21 at 8.30pm. This website is seven years old today! Woohoo! We already unofficially knew this, but now the ink is dry – the ABC have named Shaun Micallef’s Mad As Hell in their 2017 lineup. So that’s 12 more episodes, probably mid-year.